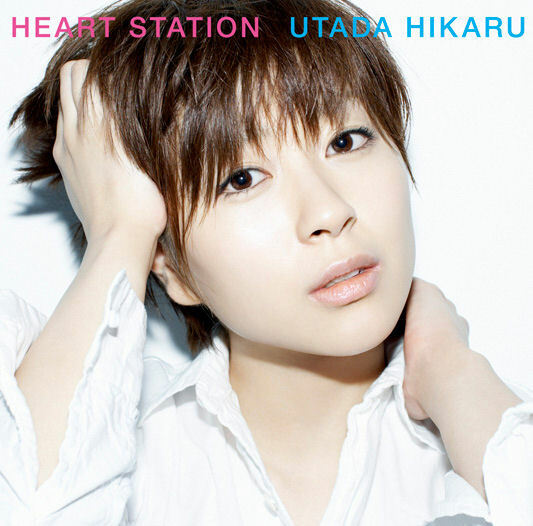 Released in March 2008 Heart Station the album was Utada's fifth Japanese produced album and in it's first week of sales sold over 480'000 copies .This is for me Utada perfection as it's a album i keep playing my self and considering i don't speak or under stand Japanese i think this proves what a marvelous talent she really is. From the first track Fight the Blues which was released as digital single prior to the albums release ,it went on to reach no '1 in virtually every online music store in Japan including the Japan iTunes store. The second track which is the title song which is about a theory about a radio station that connects people by picking up the frequency of their Heart,it's a very mellow song that sets you up for the rest off the album . On to Beautiful World which was used as the theme song to the Rebuild of Evangelion movies and has a very reminiscent feel to her earlier Passion single. Flavor of life which was her 18th Japanese single and her first to sell over 200'00 copies in the first week since 2003.it was inspired by First Love at the request of a director of a popular drama in Japan who wanted to use it in the series.It also s the highest selling digital download single in Japan at over 5'5000'000. .Kiss and Cry which featured as the Freedom Anime and the theme for Nissin cup Noodles on TV ,Again it's quite a upbeat tune which changes it's style during quite a bit.Next up is Celebrate which was the last track on the album that Utada composed and was done so the night before the album's release.There is a interlude before this track but once this starts it's a really funky track that reminds me of those Sega Tunes you used to get on their games when they made consoles and unique games.I love this track it's just so cool. Next up is awe inspiring track the Brilliant Prisoner of Love which to be honest was the first track i purchased of Utada's even though i had heard her songs Passion and Flavor of life previous.I thought i would buy her latest album and ended up ordering the single Prisoner of Love by accident (Not Cheap for a single).But you know it did not matter i got it put it on and wow what a song sung with such passion and this is evident in the video that accompanies the single,it was then i knew i had to get more of her CD's . Next up is Take 5 again a nice tune that reminds me of those Cherokee style music Cd's that were about some years ago.Then we have Boku Wa Kuma (I'm a Bear) which is her first attempt at writing a children s song for a Music TV program, i like it i just stays in your head 'i was singing it for days. Coming to the end we have Niji-iro Basu (Rainbow colored bus) this i like a lot it has very Dance feel come cream anthem sound to it,but very mellow.Then last you have a Bonus version of Flavor of Life. So should you buy this 'of course i truly believe you have missed out on a whole part of music with out listening to Utada and this album is her at her best ,not to say that her other albums are not as good but this album truly is The Flavor of Life.And i for one cannot wait for her next Japanese album. 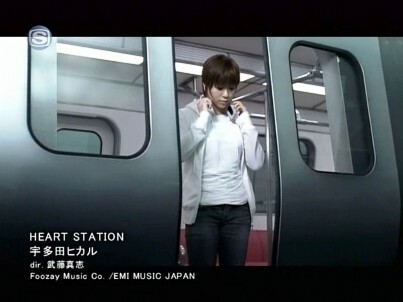 All songs written and composed by Hikaru Utada. A couple of Crackers from UTADA. **Please Note ,due to copyright the couple of videos are likely to be removed from youtube at some point .If you visit this page and they have been removed ,please let K.I.T.G. know by leaving a message on the Facebook page and i will look for others to replace them.